Bakersfield Ravenwood 48-inch x 19-inch x 15-inch TV Stand in Black Fit any floor plan and space with this Corliving TV stand. 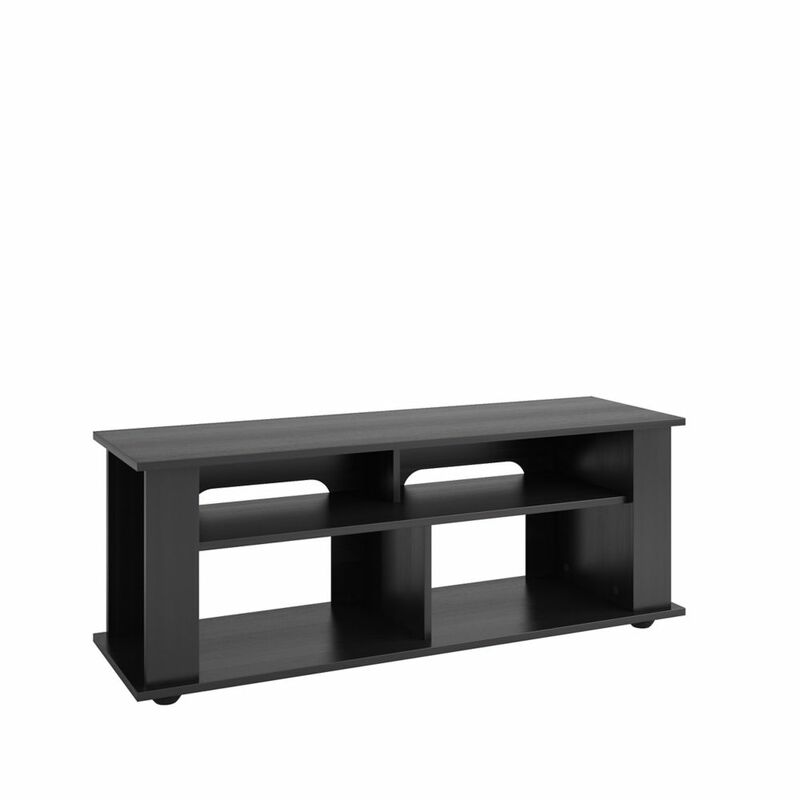 The black free standing TV stand can accommodate a television of any size up to 51-inch to 60-inch. Use this piece as a handy place to store movies, gaming consoles, and even speakers. Bakersfield Ravenwood 48-inch x 19-inch x 15-inch TV Stand in Black is rated 5.0 out of 5 by 2. Rated 5 out of 5 by Gary 41 from Very compact with just enough storage space We are very happy with our product. It was delivered very promptly. Rated 5 out of 5 by Ak 68 from Clean lines We completely redid our living room and wanted clean lines, no fancy fireplace anymore. This is the stand that we decided on and it holds all our components and it is lower than our other one which is great as our couch is as well. Exactly what we envisioned. IS &nbsp;THIS &nbsp;ITEM IN STOCK IN LAVAL ?????? Hi Ian, this item is sold online and is shipped directly to your door from Vancouver. It is currently in stock.